Oklahoma Connection | Harlow was born in Oklahoma City, Oklahoma. In November of 1968, Bryce Harlow was working at Richard Nixon’s headquarters located in a New York City when he found himself with three U.S. Presidents wanting to speak with him – Lyndon Johnson was on the phone, Dwight D. Eisenhower was on hold, and Richard Nixon was waiting in the next room! Harlow was also the principal speech writer of the GOP platforms of the 1956, 1964, 1968, and 1972 national conventions. Native Oklahoman Bryce N. Harlow grew up in Oklahoma City and received his bachelor’s degree (1936) and master’s degree (1942) from the University of Oklahoma. 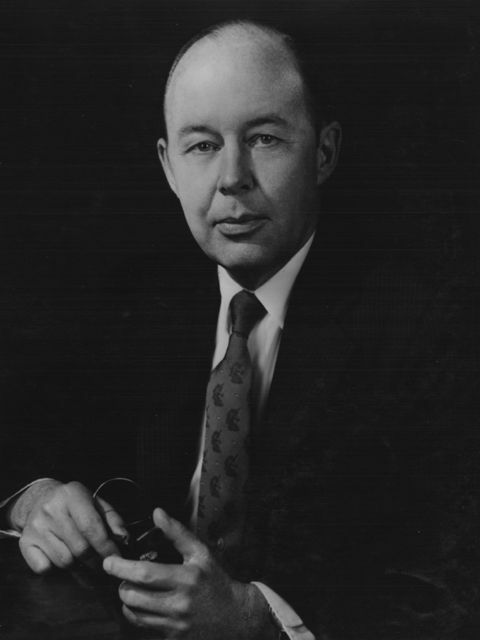 He studied at the University of Texas before serving as an Army officer and as Assistant Librarian of the U.S. House of Representatives (1938-1941). Harlow began his public service on the staff of General George C. Marshall as congressional liaison officer of the War Department. From 1947 to 1951 he was a member of the professional staff of the House Committee on Armed Services and was the head of the staff from 1950 to 1951. From 1951 to 1952 he was vice president of his family’s Harlow Publishing Company in Oklahoma City. He returned to Washington, D.C. in 1952 when one of his wartime associates, General Dwight D. Eisenhower, was elected to the U.S. Presidency. Eisenhower brought Harlow back to handle Congressional relations in January of 1953. He served as Administrative Assistant to the President and Deputy Assistant to the President for Congressional Affairs. He was Eisenhower’s speech writer and principal lobbyist for eight years, joined the Nixon administration in 1969, resigned, then later returned in 1973. He joined Proctor and Gamble as its director and later vice president of national government relations in 1961. He was awarded the Presidential Medal of Freedom in 1981.